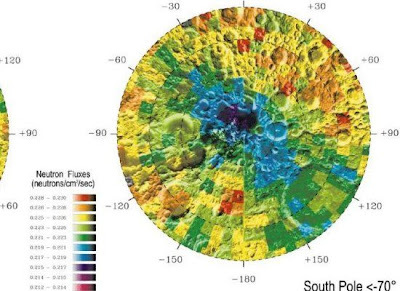 NASA hates the moon: Water, puhlease. They claim it's important for future space missions. Well last time I checked you can't drink ice, NASA... you just mix it with your whiskey when you want to feel less like an alcoholic. WHAT YOU BRINGING WHISKEY UP THERE?! Drunk astronauts... psshh..
That water's gonna be so dusty. Especially if you just blew up the dust on top of it. Bravo. It's been scientificially proven in the thoughts I make up that Moon water will turn you into an alien and/or zombie. And I KNOW that's not a risk the tight asses at NASA will pull with their astronauts. Nope. It seems clear as day to me. NASA hates the moon like a man hates the guy his girlfriend cheated on him with. I bet the moon fucked all of NASA's wives (or husbands... unlike the dicks at NASA [Dr.] Dru Johnston is not sexist).